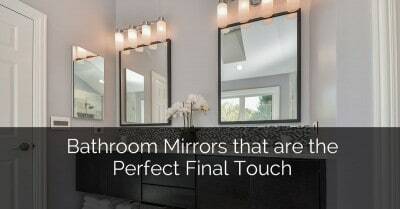 You’ve come to the right spot if you are looking for inspirational powder room ideas or half bath designs. 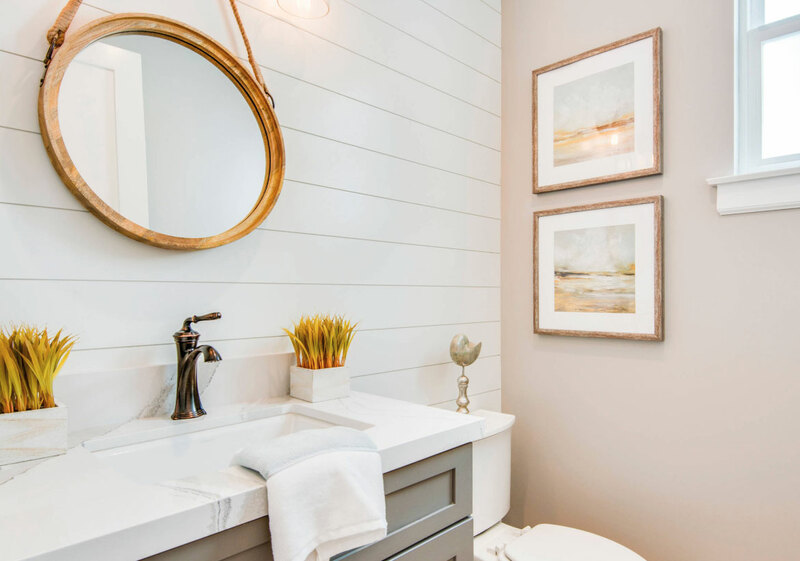 No matter the size or square footage of a home, adding a powder room or a half bath is always a welcome feature to any home. Many homeowners are deciding to add these specialty refreshment rooms for family members and guests alike. 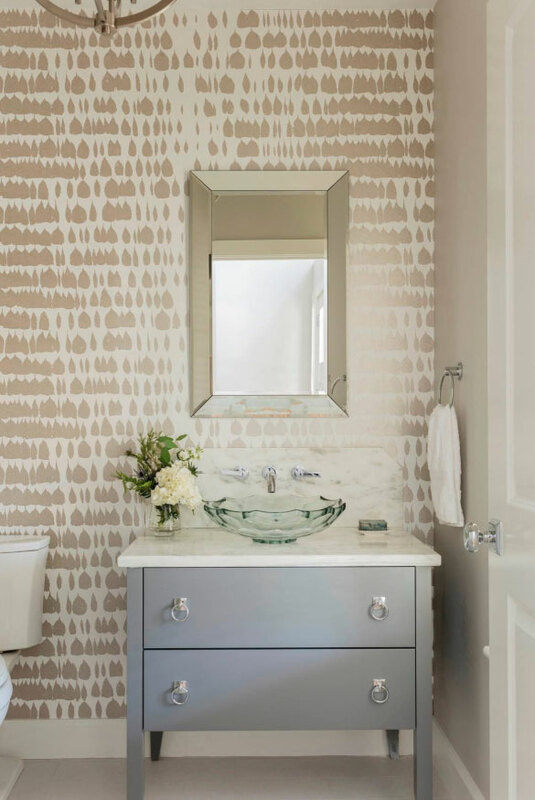 As a nod to past leisurely pursuits and an excellent modern addition to any home, powder rooms and smaller baths are definitely worth taking a look at. 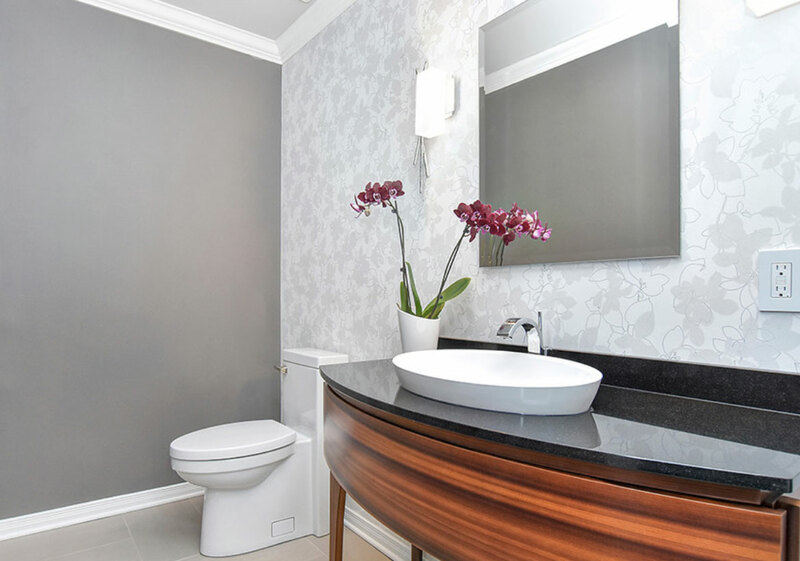 This article will detail everything you need to know about powder rooms and half baths, including their standard dimensions, sizes, layouts, and design ideas. 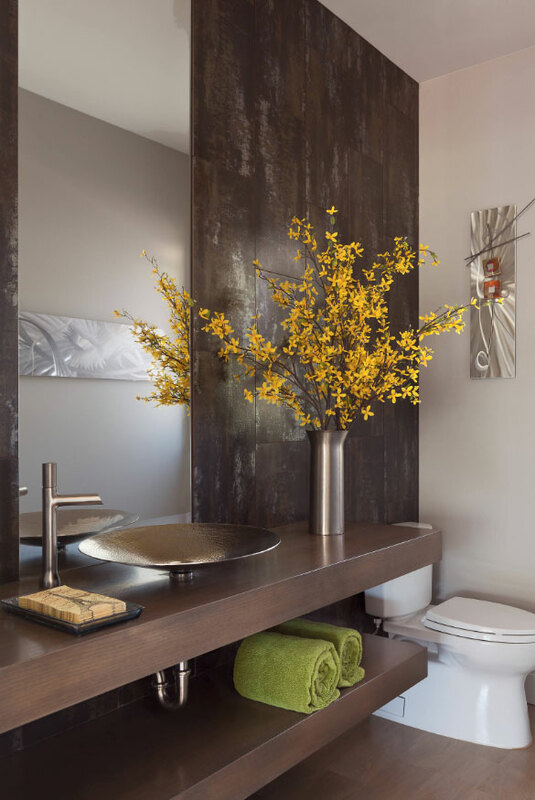 A brief overview of some creative ways to make your powder room stand out can perhaps inspire you towards your next remodeling project. A powder room is traditionally defined as a bathroom that does not have a bathtub or a shower. It functions as a small room with a toilet, a sink, and an area for hand towels to freshen up. It is built for its small size and its convenience and quick access to guests. 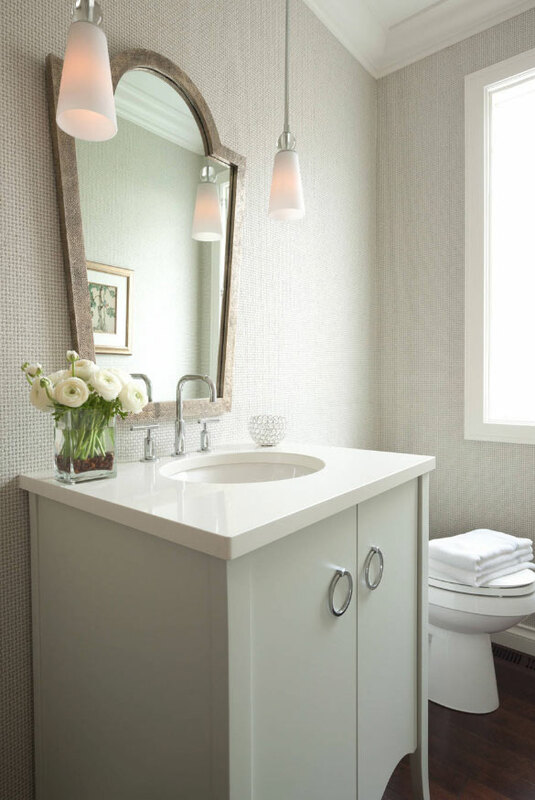 Most powder rooms are built in private homes and can be decorated with a variety of stylish touches and designs. 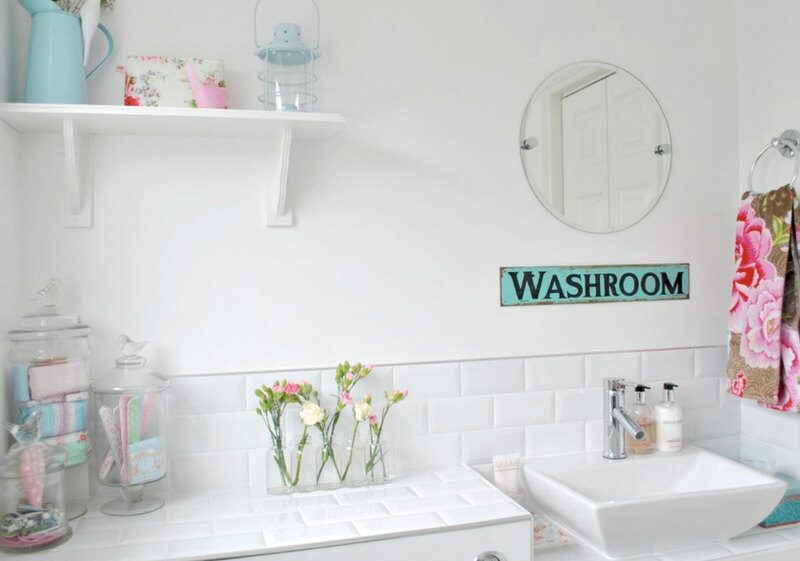 If you’re struggling to find the space in your home, keep in mind that a lot of homeowners find that old hall closets can serve as great small powder rooms. 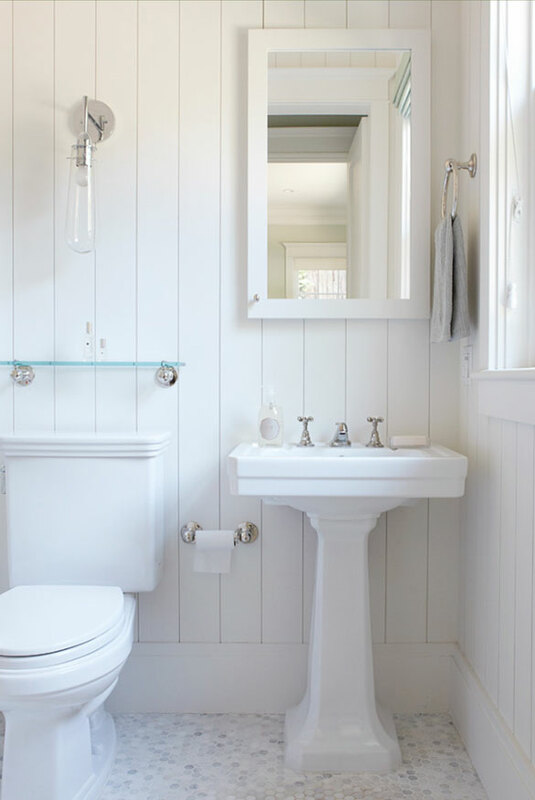 Since powder rooms come with a sink and a toilet, you may be struggling to see how there can be value in something so small. However, the level of convenience and leisure it adds for guests and family members really makes it worth its weight when it comes time to put your home on the market. 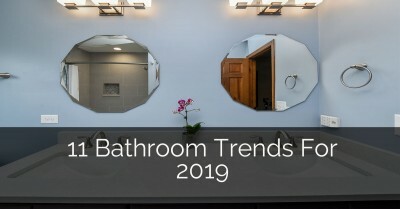 When it comes to different powder room layout options and powder room ideas, there are several things you can consider. 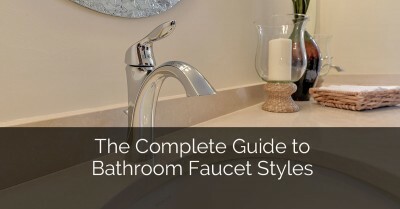 First, you can think about a traditional design, which includes having the toilet and the sink against one wall, sharing plumbing in order to save space. 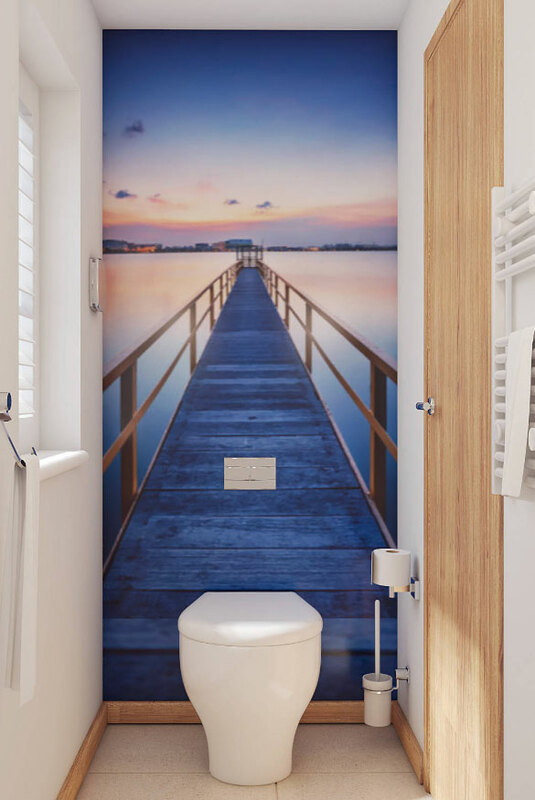 However, if you have a little more space to increase your powder room size, you can increase the amount of venting and waste lines in the room. For example, the toilet can be adjacent to or across from the sink, with a towel rack on the nearby wall. Just be sure to consider what’s in your budget and how you can best utilize the space given to you. 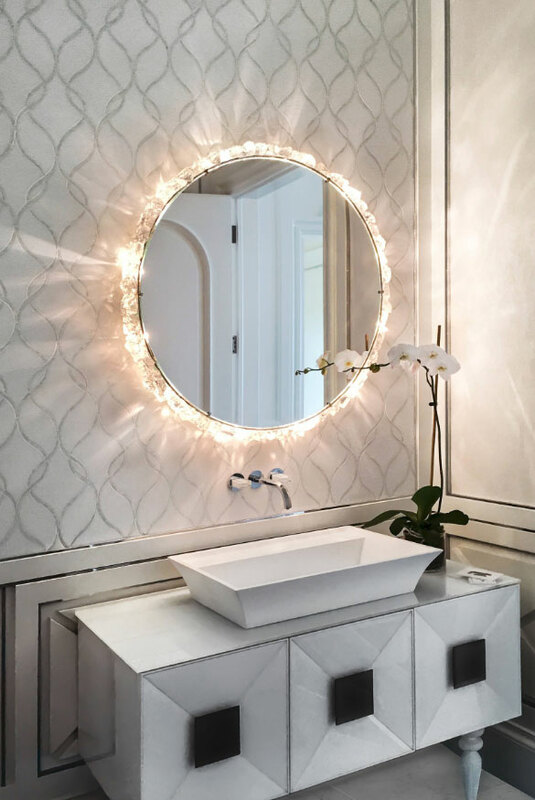 How can you best set up lighting in a powder room? 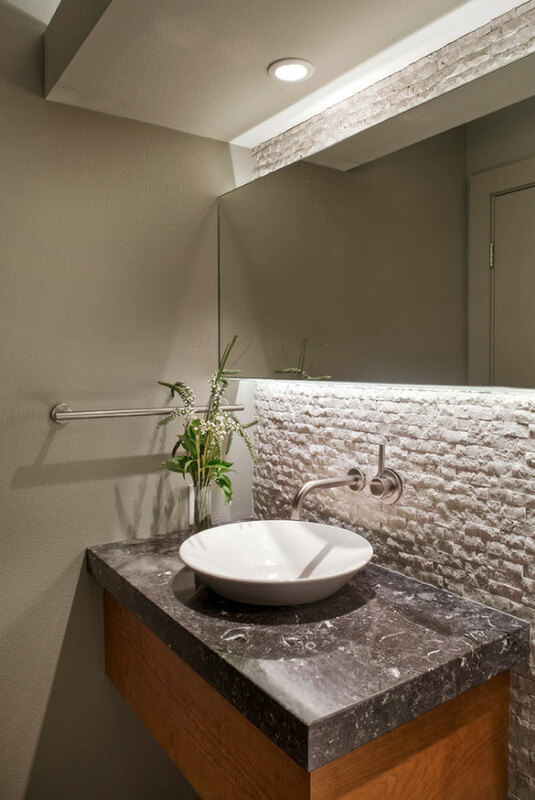 The best way to add light to a powder room or a half bath is to make the most out of the natural elements in the room. If you don’t have enough wall space to add sconces, or if there isn’t room on the ceiling for overhead vanity lights, perhaps you might want to consider installing a skylight. Light from above can bring in a huge amount of natural brightness that will give your guests as much light as they need to see what they are doing. 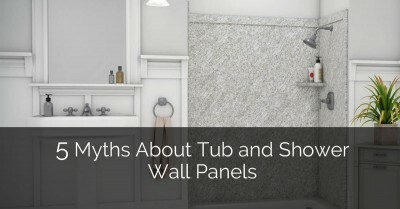 But if your powder room is on the first floor of a two-story home, or if you are worried about nighttime visibility, there are plenty of alternative options at your disposal as well. Many homeowners like to install small lamps that jut out from the wall, on either side of the sink to provide enough space. Or, installing a standard overhead light can sometimes do the trick. Lanterns and sconces are also encouraged, as long as there is enough space for them. 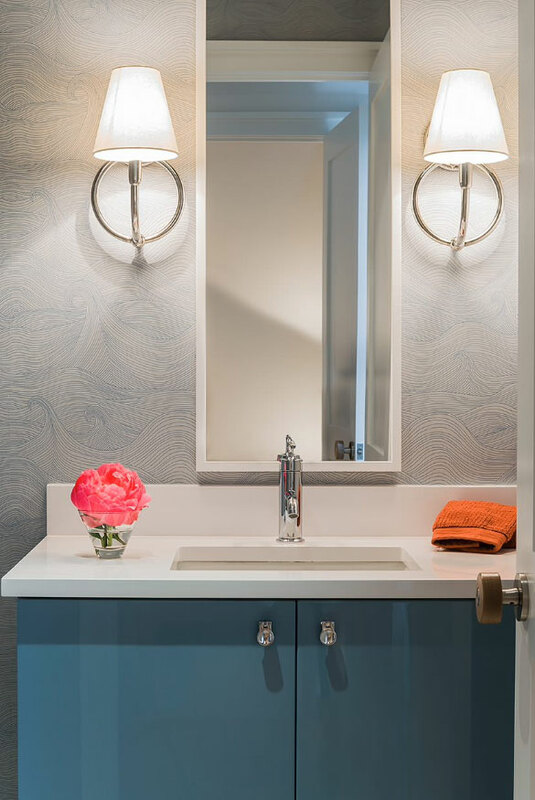 It’s great to be able to decorate your powder room or half bath in the style that you please, especially when you know how to make the most of a small space. Pretty & classic. Love the crystal sconces. 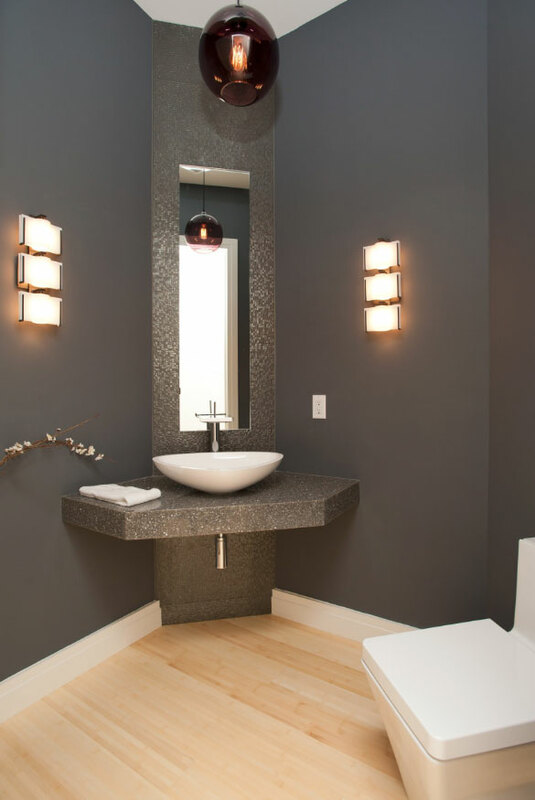 Cambria quartz, cool vessel sink & lighting make up this contemporary powder room. Fun floating lights and chic metal fixtures. 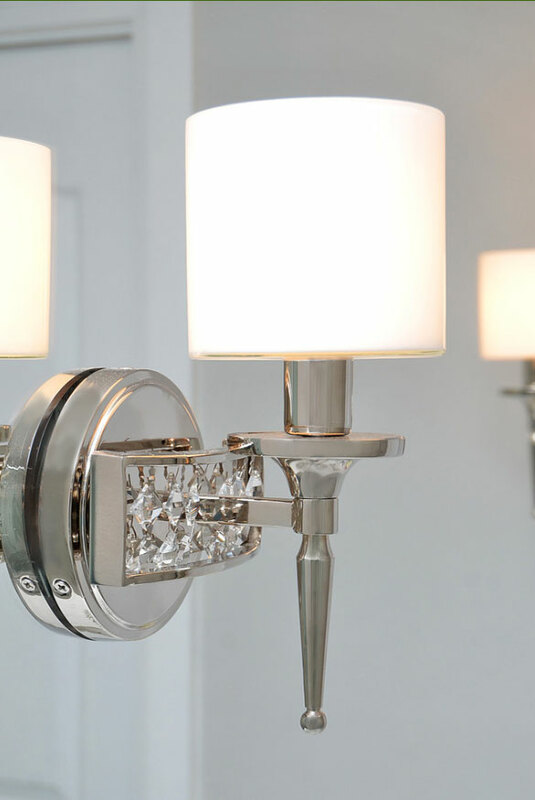 Just the right amount of pretty bling on this powder room sconce. 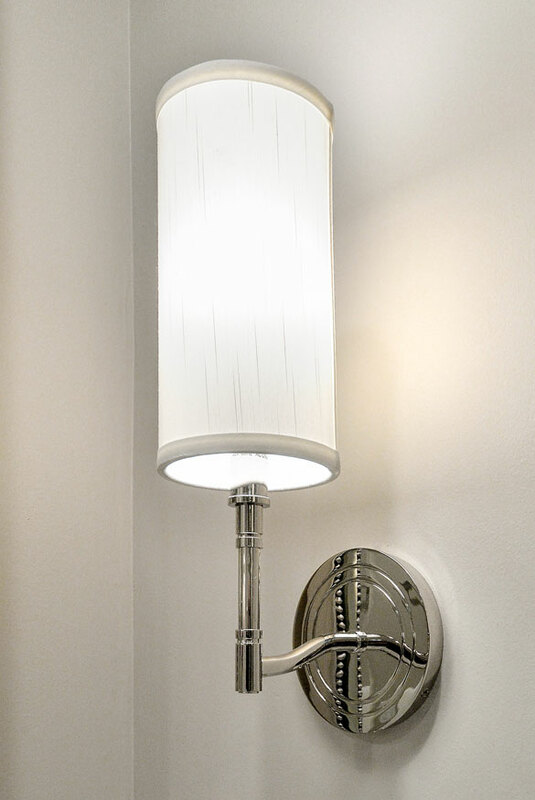 A great option for bathroom or powder room lighting. 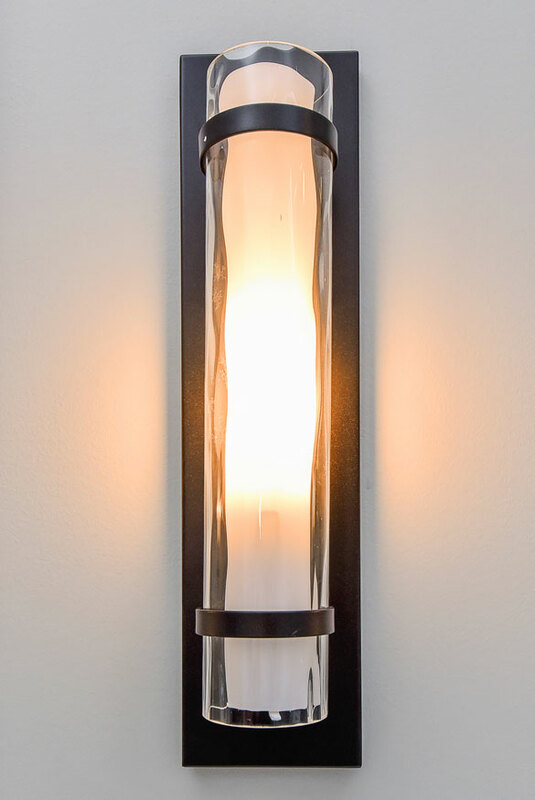 Another great option for bathroom or powder room lighting. Very elegant. 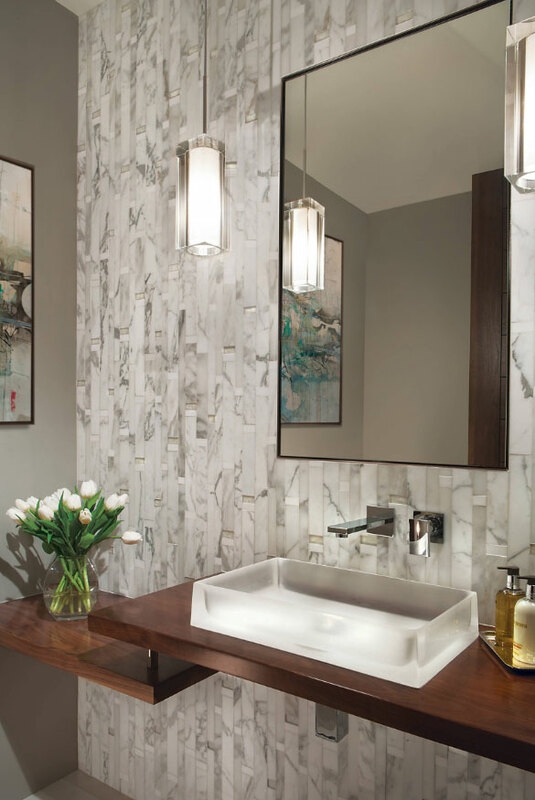 Modern powder rooms take comfortability and luxury to the next level. 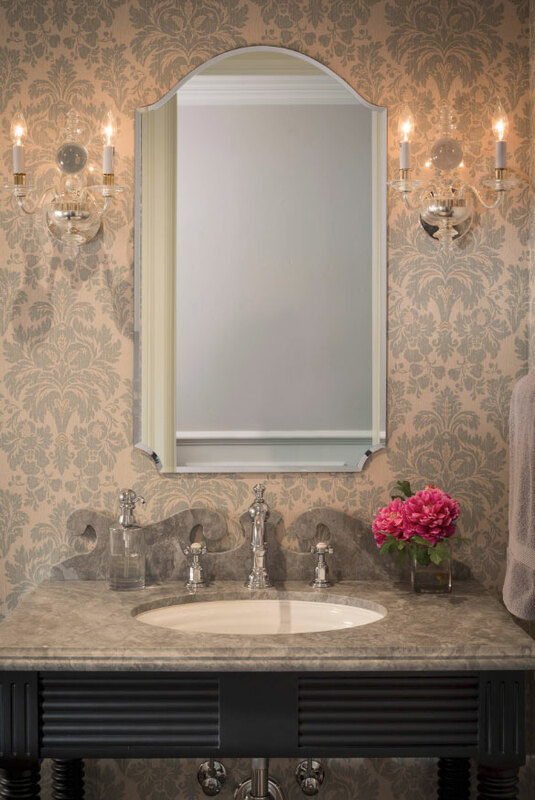 A powder room vanity isn’t an unheard option, as long as there is the space for it. Try installing a sink that is fixed to the wall, including faucets attached to the wall itself in order to save space. 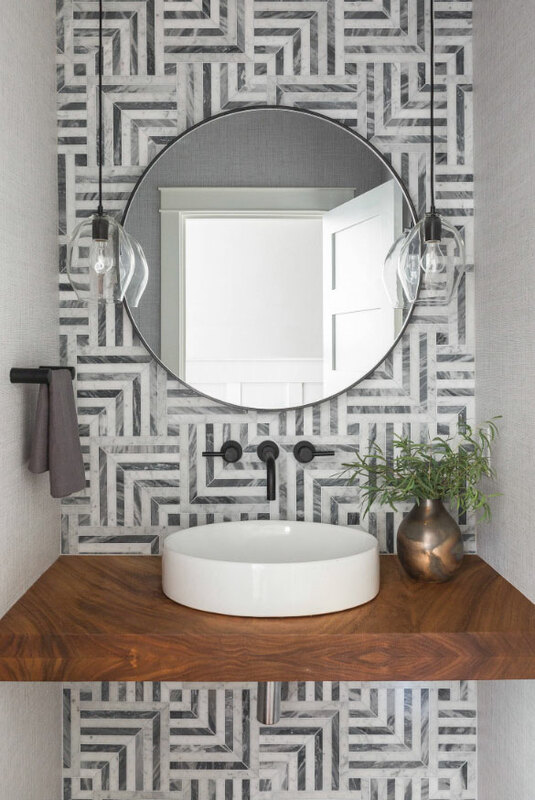 A floor-to-ceiling mirror can really make the powder room seem expensive and vast while giving your guests a chance to brush up their appearance while they use the room. Adding porcelain or marble tiles to the floors and walls can also help to open up the space, with neutral tones to highlight that sense of modernity once again. 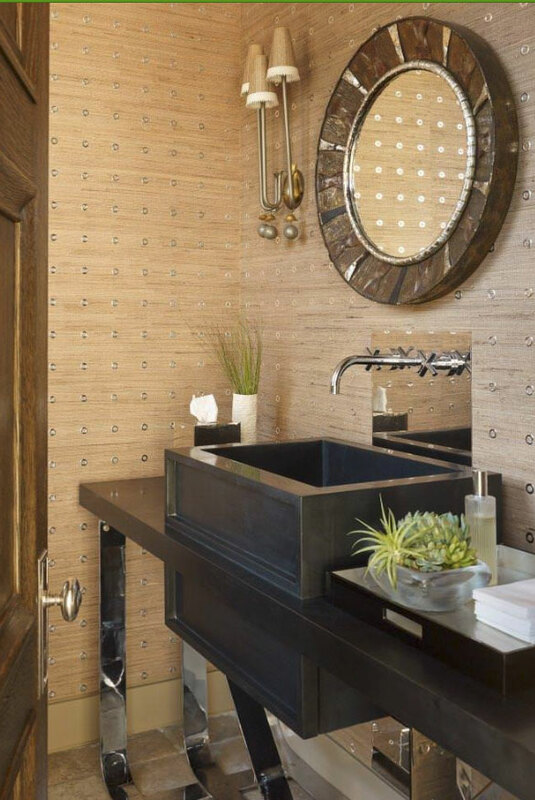 Love how the wood countertop adds just the right amount of warmth against the cool mosaic tile. Extra bonus: oval vessel sink. 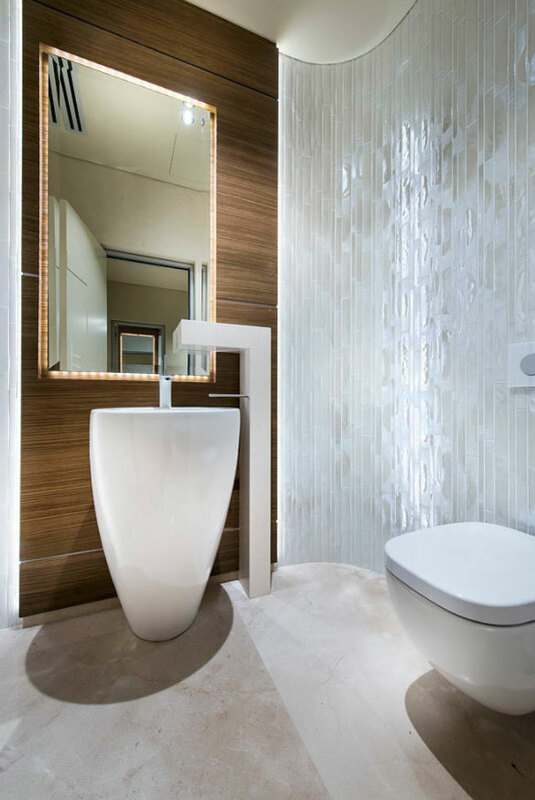 Gorgeous crushed glass and stone mosaic tile in this 7′ x 6′ curved powder room. The Ann Sacks Ogassian Penta 3D Metallic Black tile is definitely the focal point in this powder room. A brick accent wall can add warmth & character to any space. 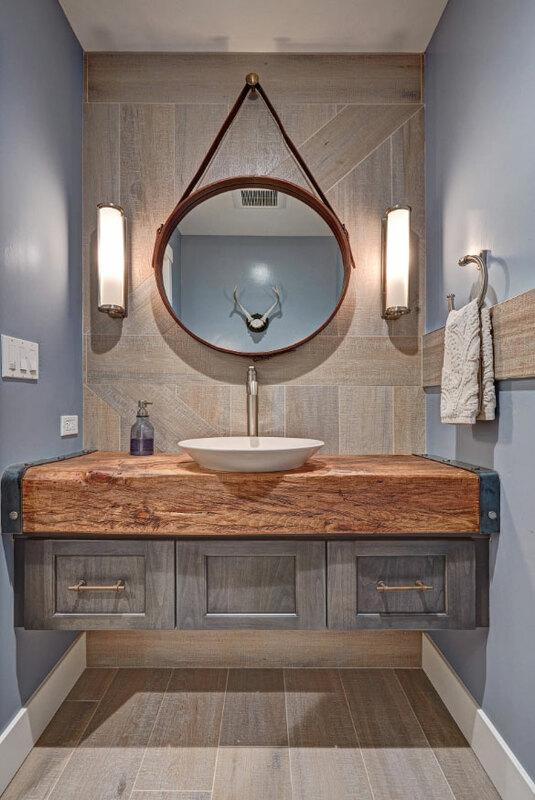 TONS of unique details in this powder room: live edge wood countertop, Sputnik chandelier & rectangular vessel sink. 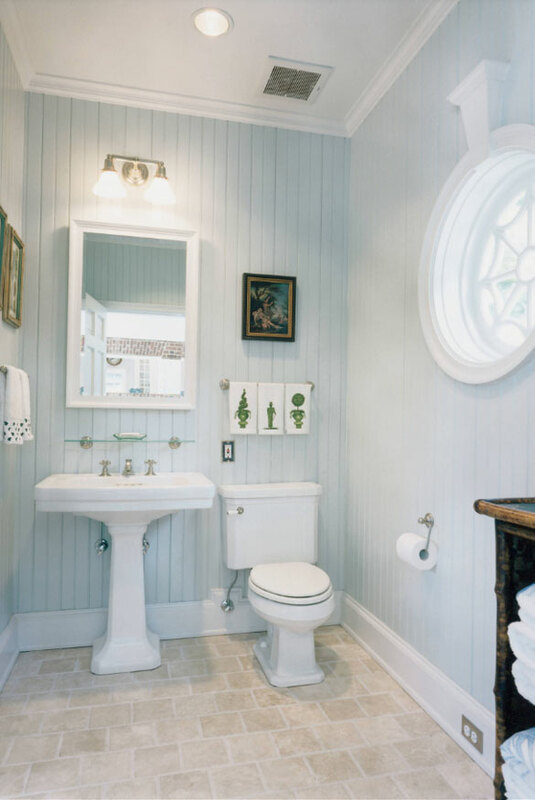 Beautiful and not-too-fussy coastal powder room. 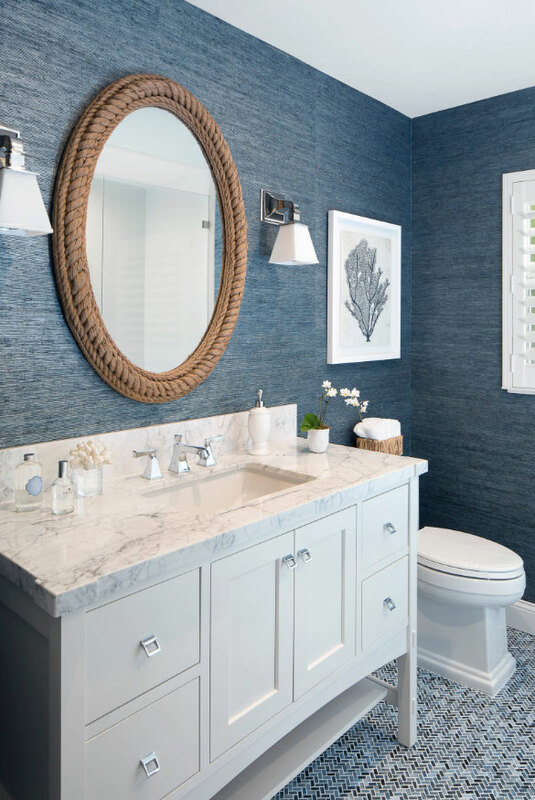 What a fun powder room design for this coastal home. Small space with just the right amount of elegant details. 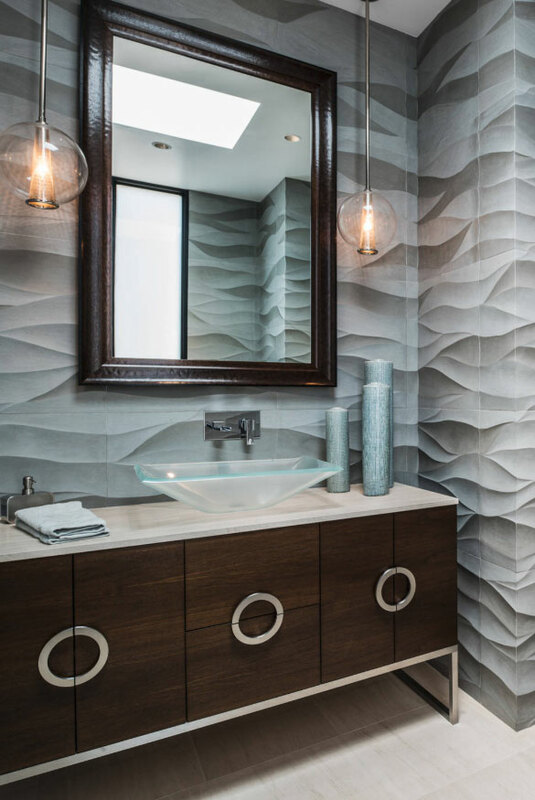 All the stone in this powder room is stunning! Bonus features: glass vessel sink & faucet. Towel hanger or art or both on the right side wall? 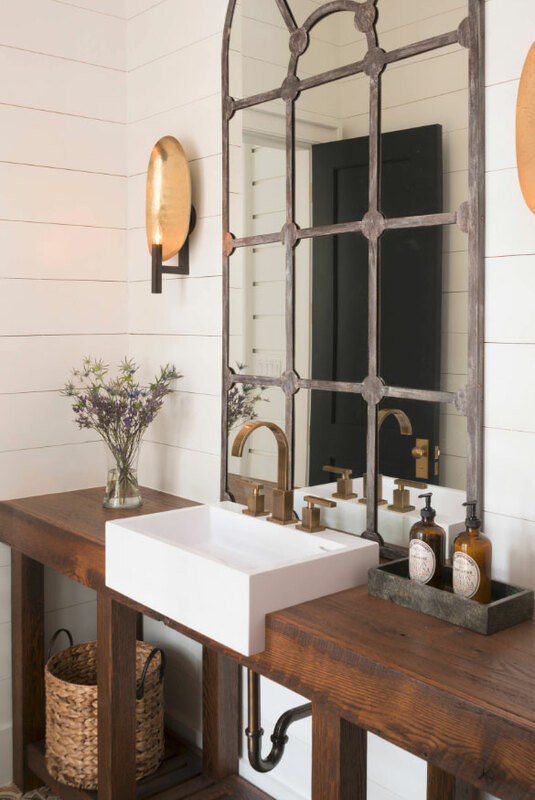 Lots of warm and interesting design details in this farmhouse powder room. 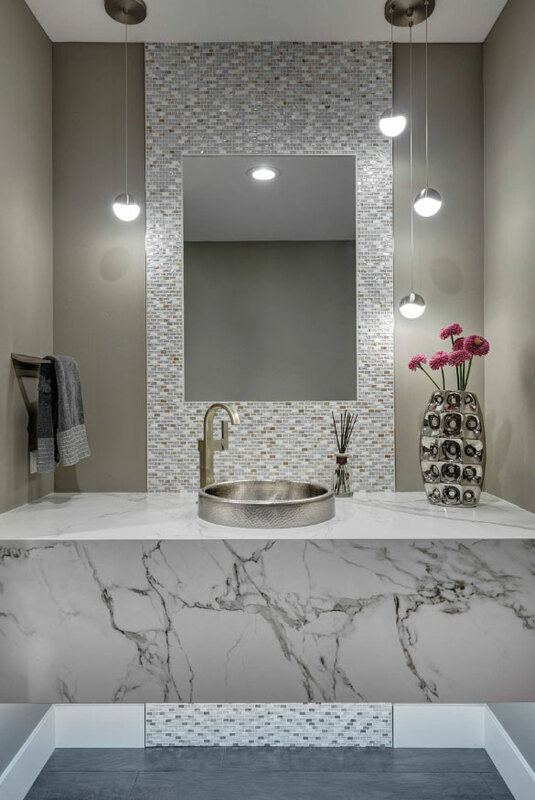 This modern Miami powder room boasts a lighted mirror, clean and sleek countertops and cool round faucet handles. 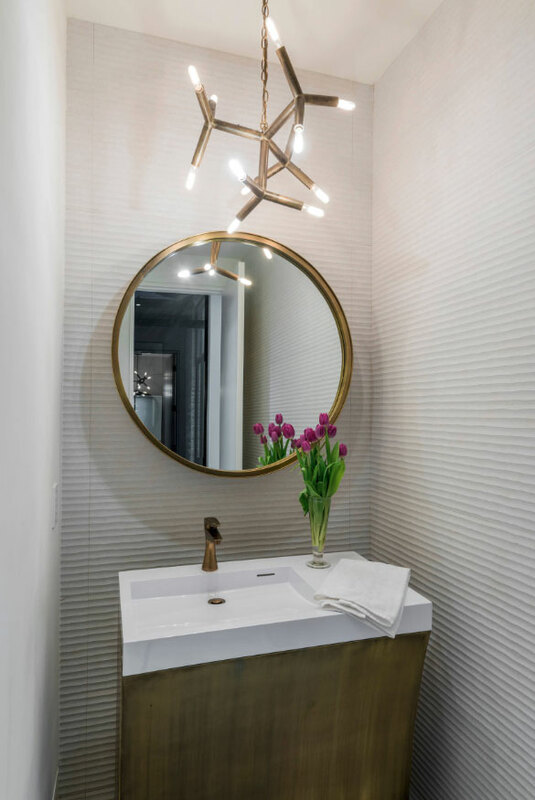 The star in this powder room is the gorgeous Toto Luminist Rectangle Vessel Sink! Goes beautifully with the walnut 2-level counter and marble & glass mosaic wall. Alene Workman Interior Design, Inc. 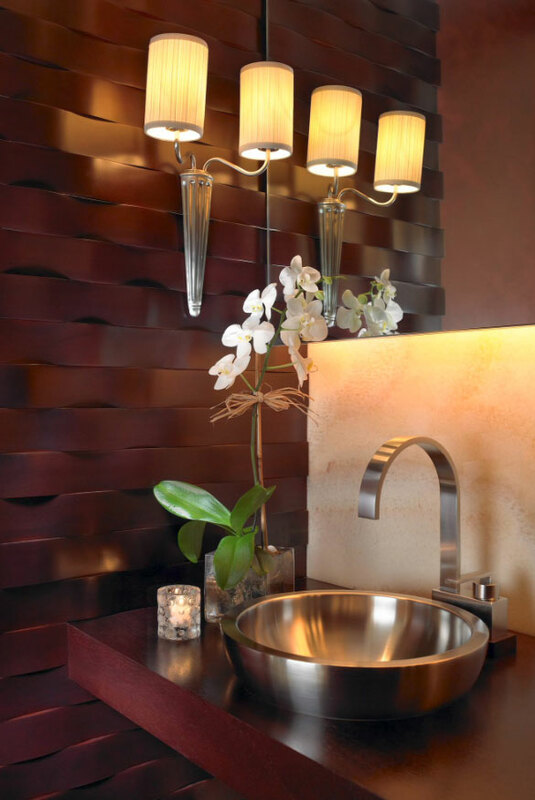 This powder room features exquisite mahogany wood walls and countertop, stainless steel vessel sink & backlit onyx wall. 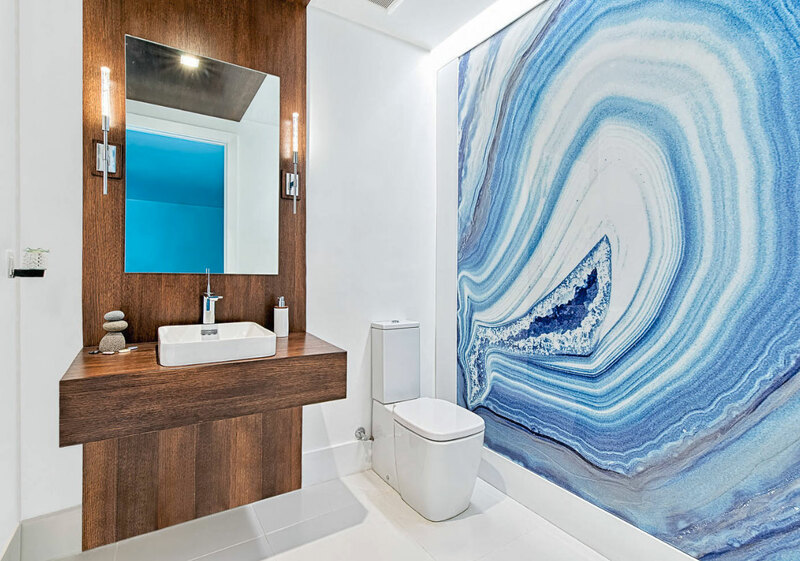 Cool, contemporary Australian powder room. 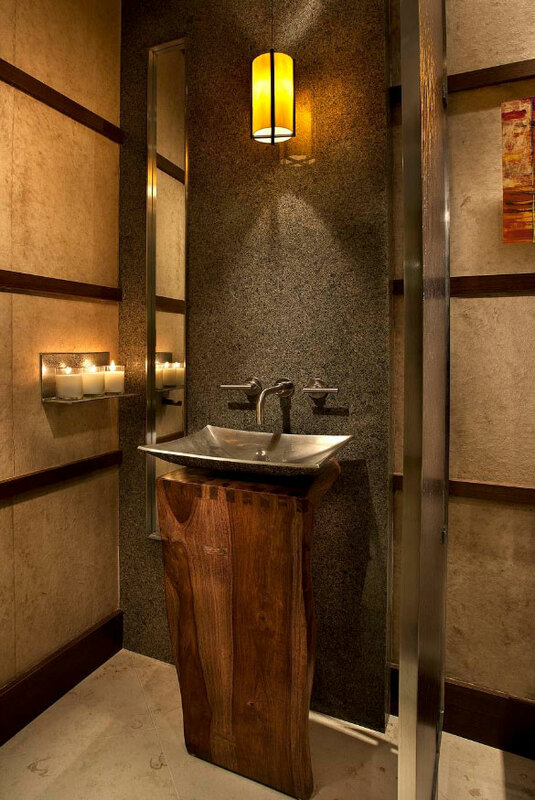 This rich & warm Phonix powder room features a Stone Forest Wood L-Slab Pedestal sink. 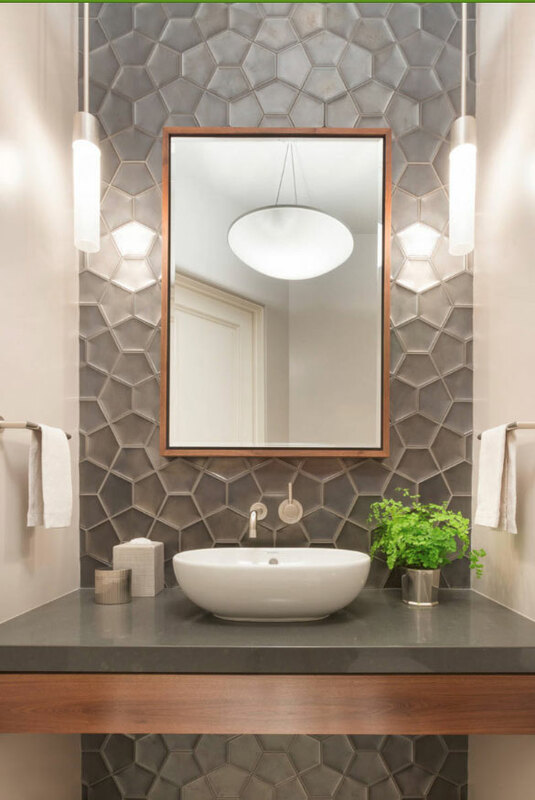 The antique mirror tiles are an impressive unique touch. Shelves & vanity found at Restoration Hardware. Another classic powder room. The soft blue color in this 8′ x 5’6″ room is soft and comforting–a great spot to freshen up. The round detailed window adds additional charm. 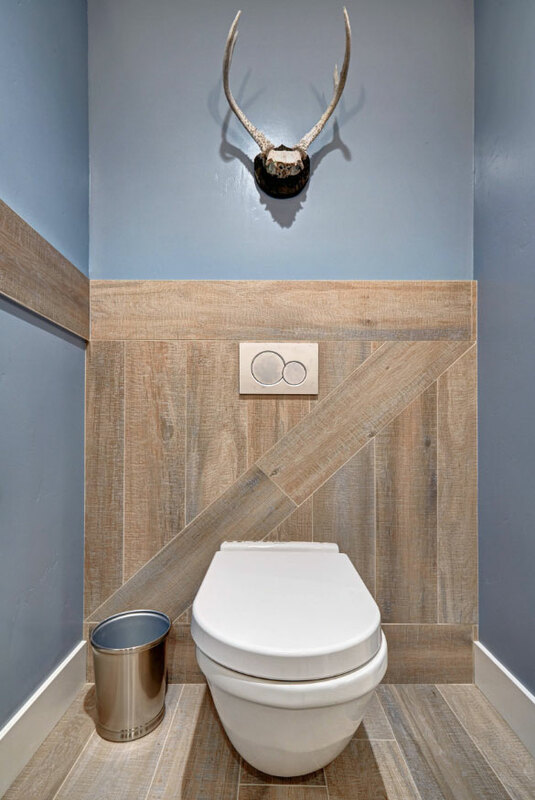 The builder/designer refers to this powder room as eclectic industrial. They wanted to come up with a design that was both “rough” and luxurious and it looks like they along with their crew did a masterful job! 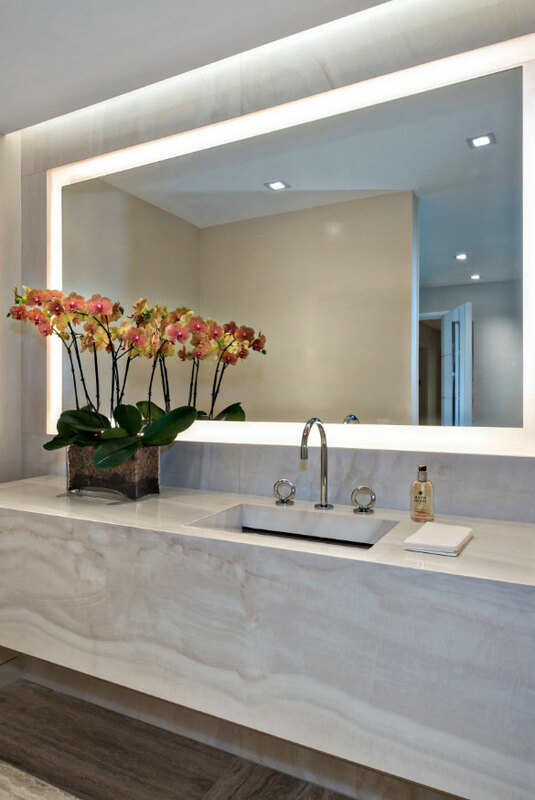 This picture showcases a floating vanity with rough cut wood top. The floor and wall features Porcelanosa wood grain tile. 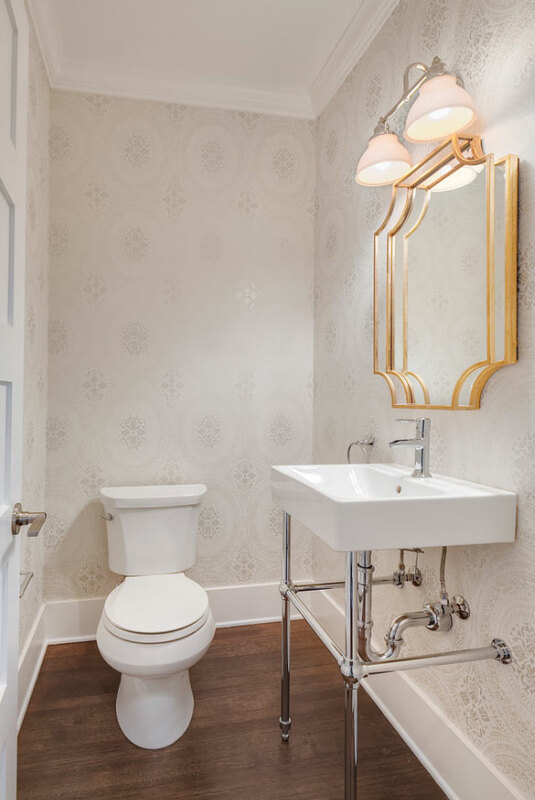 Part 2 of this eclectic industrial powder room. The floor and wall features Porcelanosa wood grain tile. Remarkable! Beautifully unique contemporary powder room with many engaging design touches. 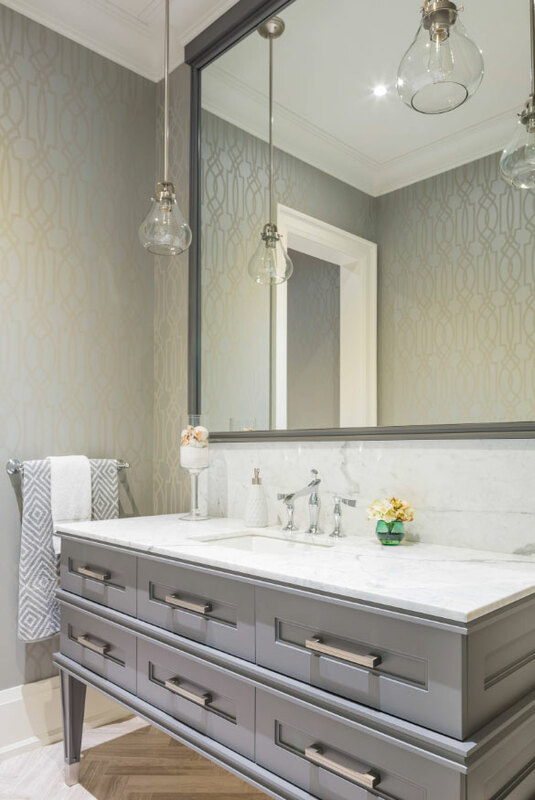 Noteworthy: wallpaper, vanity, sink & faucet. A half bath is also a type of bathroom that contains a sink and a toilet but no shower or bathtub. 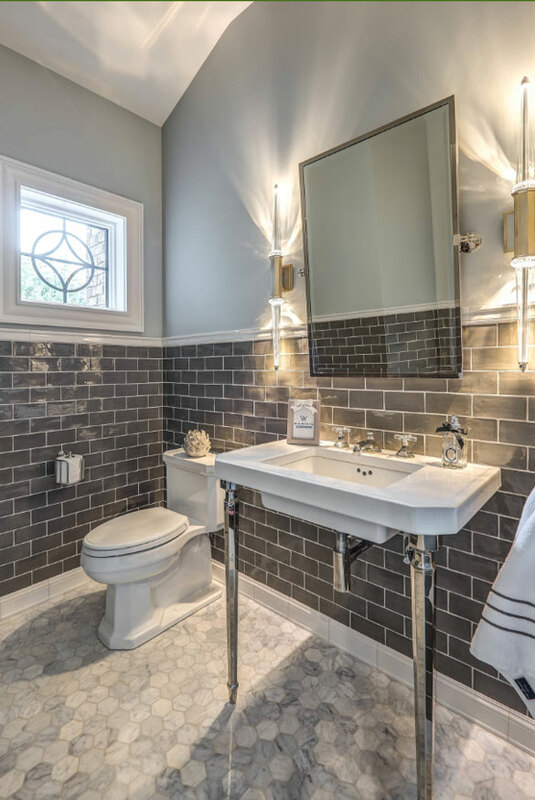 Often, half baths are interchangeable with powder rooms, as they can be referred to in both ways by a professional remodeler or home designer. They are small but powerful additions to any home that add a lot of functionality. 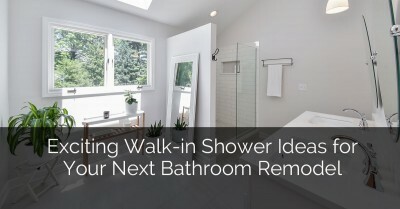 They are also a great place to start if you are looking for a remodeling project since there is not a lot of space involved but you can certainly get your feet wet when it comes to learning the ins and outs of bathroom remodeling. There are a few requirements about door placement as well. Typically, it is pivotal that the homeowner considers which way the door opens and closes. Should it swing in or out? Make sure that there is enough clearance space for the door to open inward so that it doesn’t hit the sink or the toilet. Otherwise, it may need to swing outward. 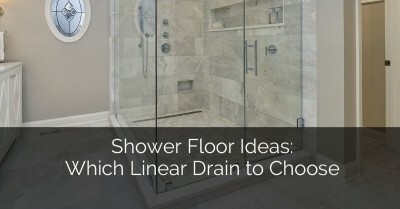 When it comes to a half bath remodel, there are a lot of ideas to take into consideration. Want something elegant, unique, and truly eye-opening for your guests? Build a sink space with plenty of cabinets underneath and fresh brass handles. Use this same brass for your towel rack, and even perhaps for the mirror on the wall overhead. 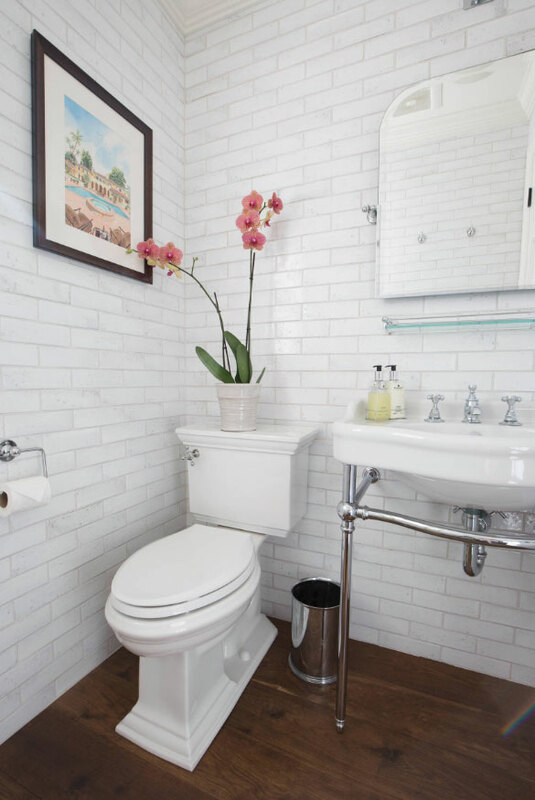 If you like using neutral tones, keep the walls and the floors an off white while you add a colorful tile backsplash to the wall opposite the toilet. This gives your guests something to look at and enjoy while they are using the room. The toilet itself can come in alternative colors and styles as well. 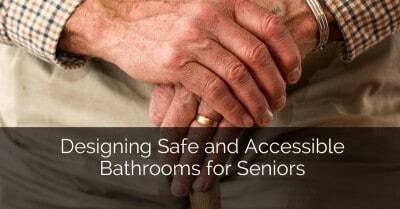 Often, to save space, remodelers will use a smaller round toilet, rather than a standard-sized oval toilet. In fact, this even adds character to the charm of a half bath. 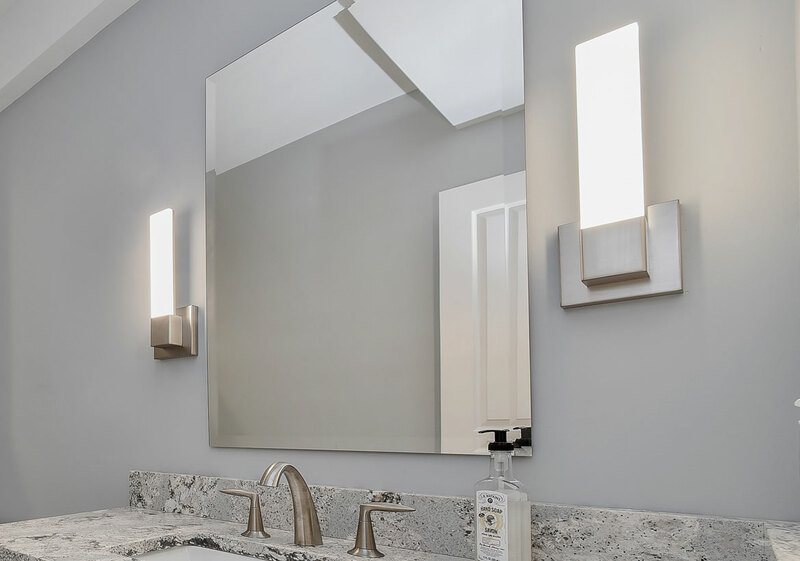 One of the most popular half bath ideas is to add vanity lighting above the sink. Even if you have an open window in the room as well, it doesn’t hurt to add more lighting, which can offer a warm glow rather than the harsh white glow of natural daylight. 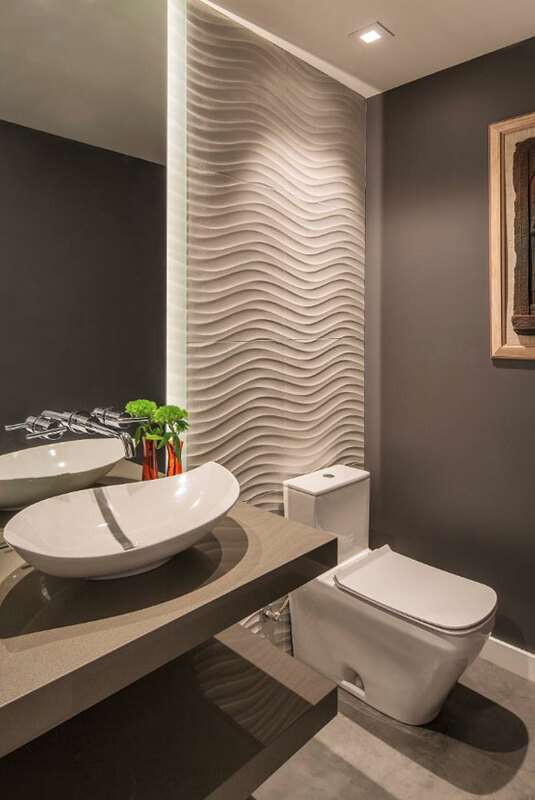 Love the leaf vessel sink and the textured 24″ x 24″ ceramic tile! 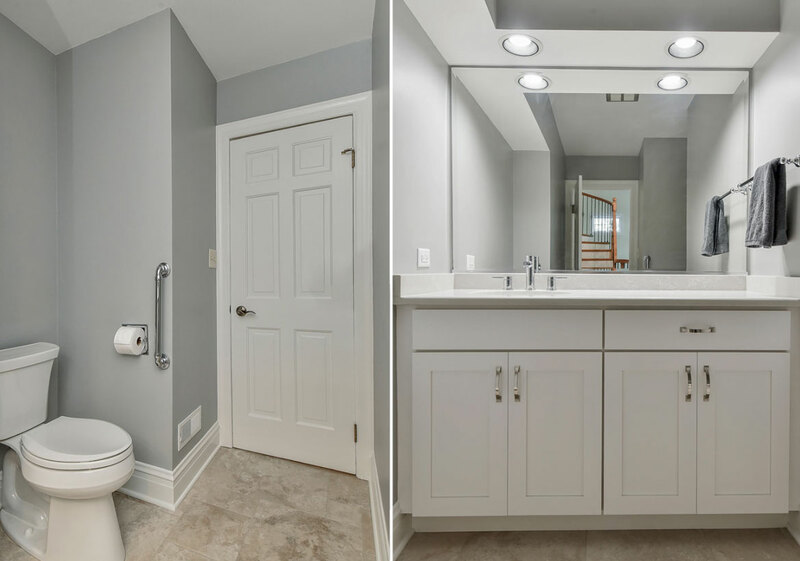 The stars in this half bath: light, sink & floor. 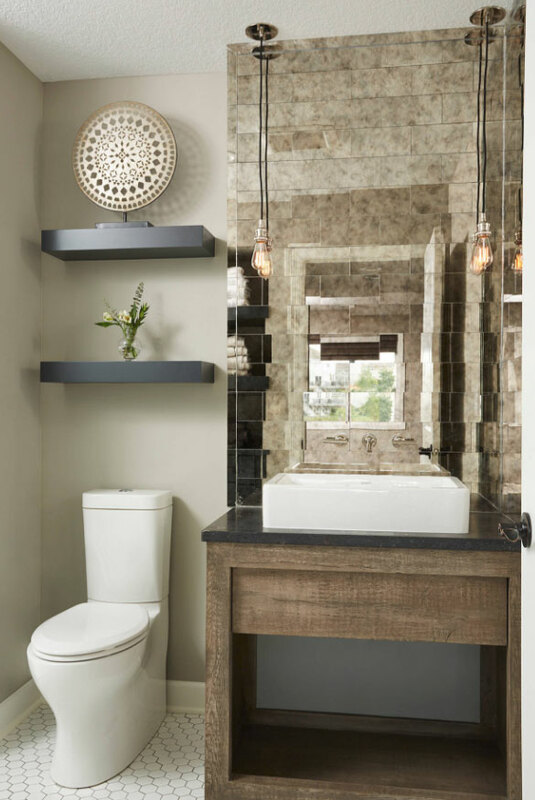 This Denver half bath features white oak counters & shelving with taupe stain plus the stunning Native Trails Maestro Mandala sink. 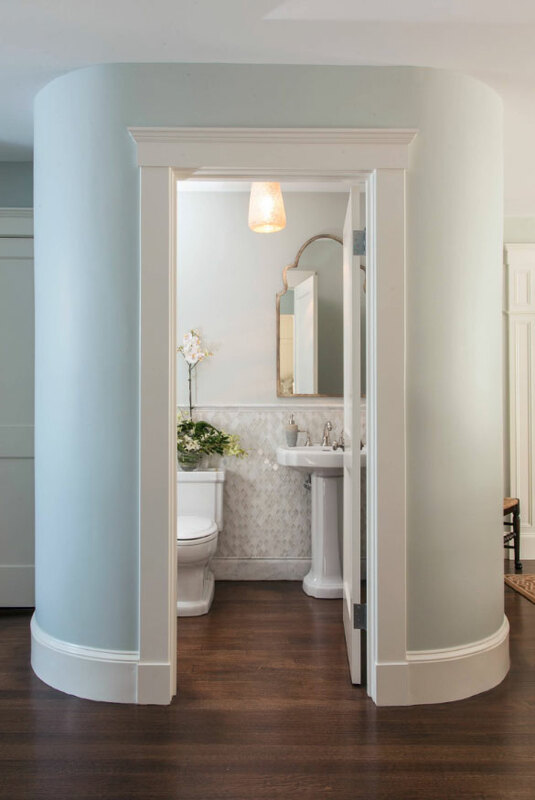 A perfect, crisp traditional half bath with ample storage. This design would look great in any home. So pretty. The Phillip Jeffries extra fine arrowroot wallpaper in denim is stunning. Love how the herringbone floor tile complements perfectly. 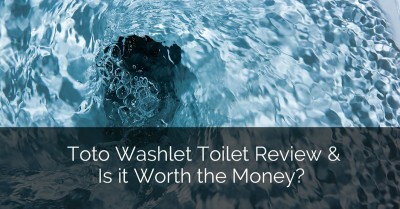 Marble countertop, Kohler vanity and rope mirror are honorable mentions. 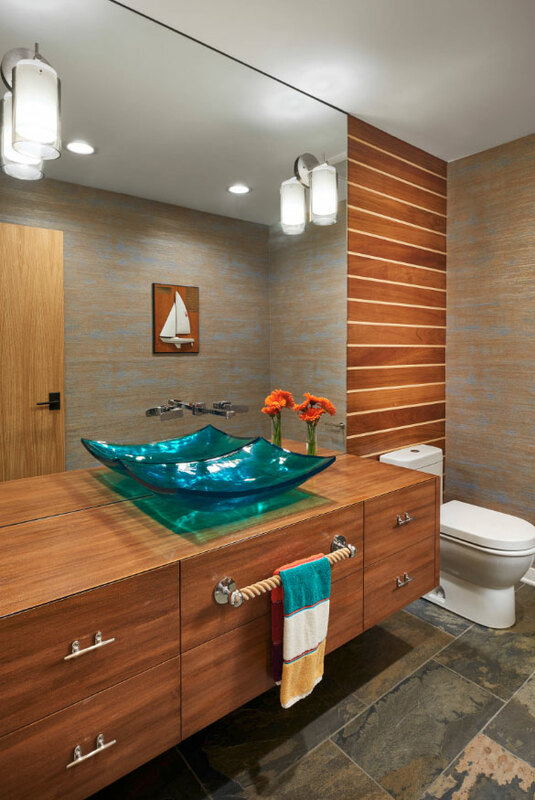 The wood gives a yacht feel to this beach style half bath. Striking blue vessel sink & rope towel bar are clever touches. Possibly a larger half bath? The gray vanity and the grand mirror are world-class. 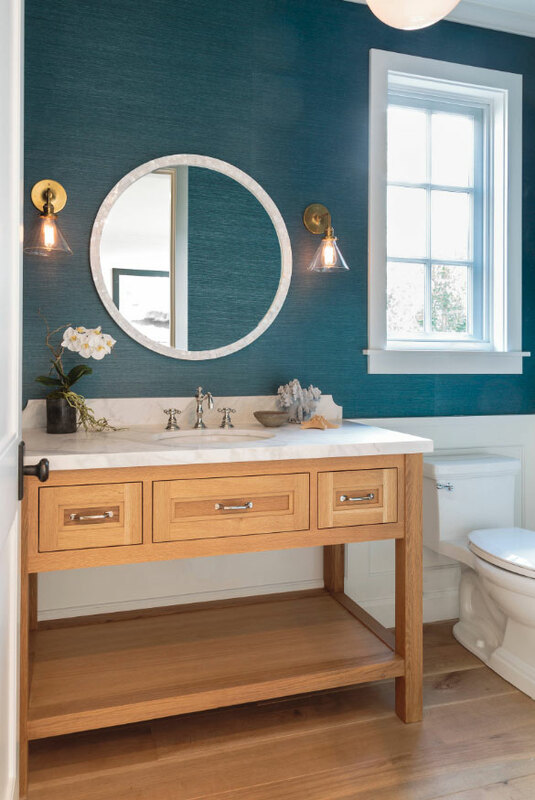 The stained textured seagrass wallpaper gives the perfect pop of teal color to this beachy half bath. 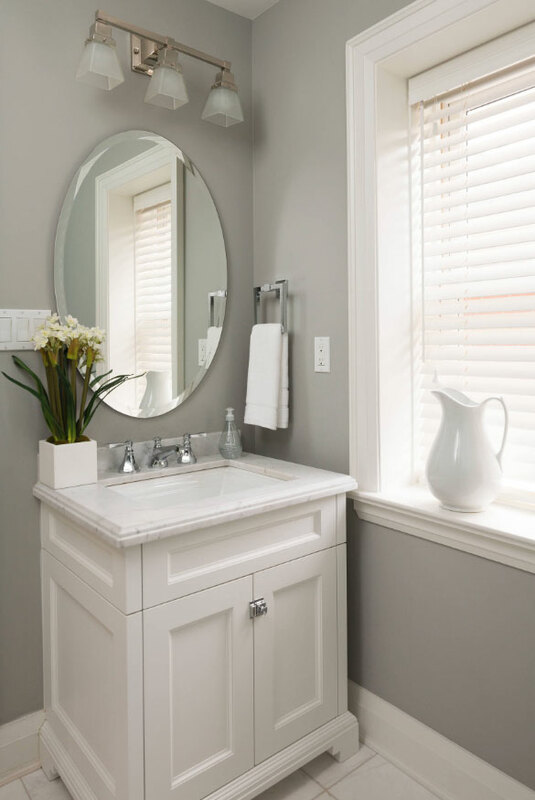 Clean & crisp–love the vessel sink! The Brookhaven vanity in Baltic Sea is lovely. Another great representation of a lovely, simple & classic half bath. 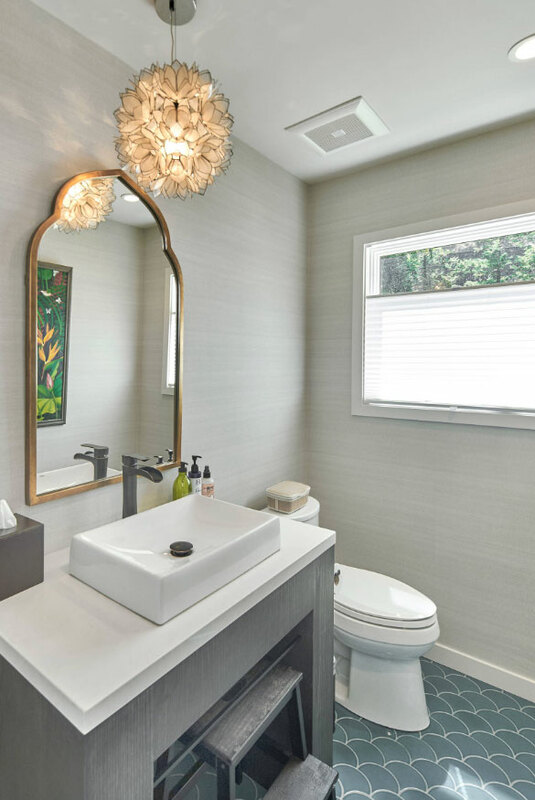 So many unique shapes in this transitional half bath–the mirror, vanity & round pulls. 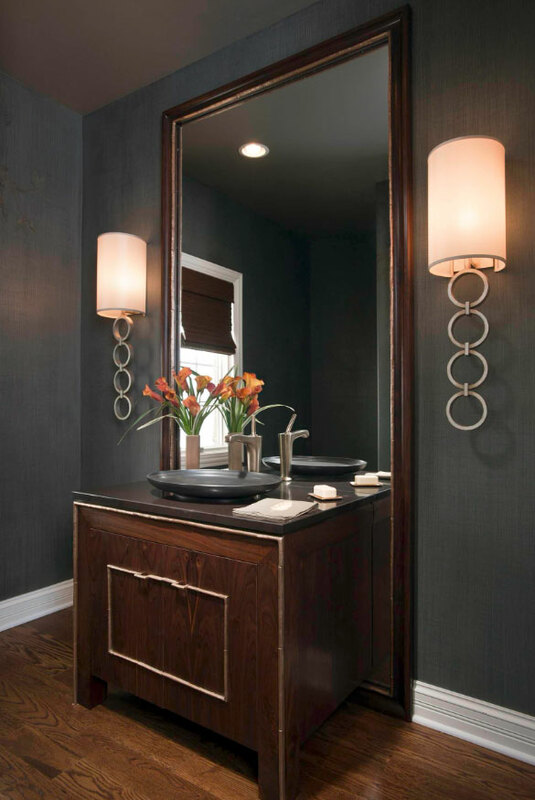 PLUS the textured wallpaper, dark flooring and soft color on the vanity add elegance to this space. Who says a vanity has to be white, gray or woodgrain? This custom vanity was painted Benjamin Moore Whipple Blue! The cherries on top: wallcovering by Abigail Edwards – Seascape in Summer & Alu Wall Sconces by Sonneman Lighting. Is it just me or does this rock-crystal backlit mirror give the effect like it is on fire? 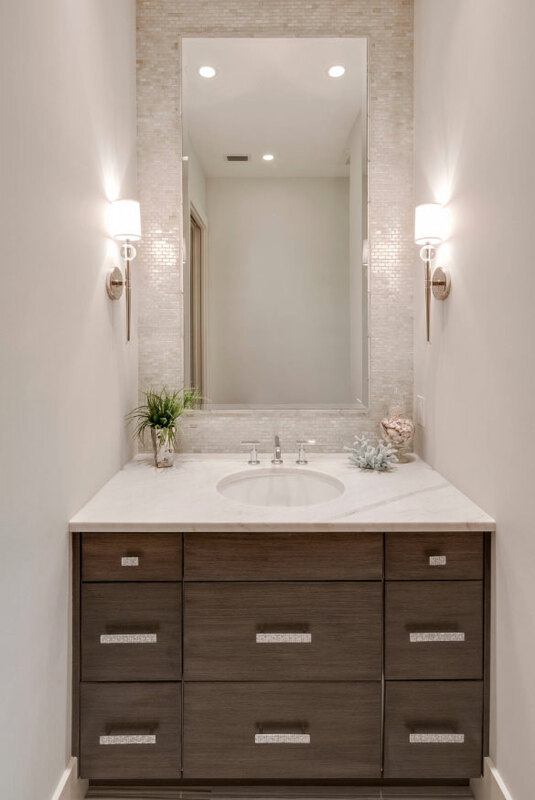 So many unbelievable design features in this space from the white modern wainscoting with stainless steel accents to the white marble mosaic feature wall to the unique vanity and rectangle vessel sink. WOW! This pretty bathroom vanity area packs a lot of punch–lots of wonderful storage. This is something for those looking for a more unique contemporary space. Elegant for sure. Has a little old-Hollywood feel? Plus those lights are amazing! 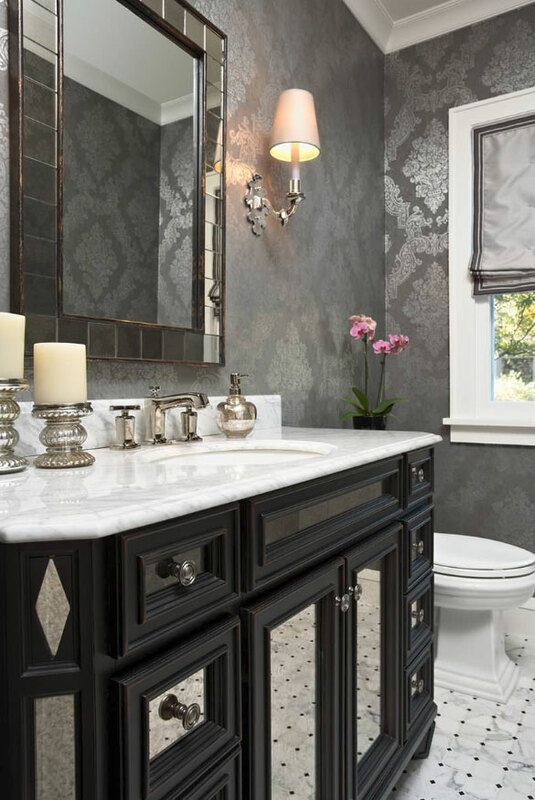 Rich black detailed vanity, elegant lighting & fixtures, and exquisitely detailed wallpaper make this a world-class half bath. 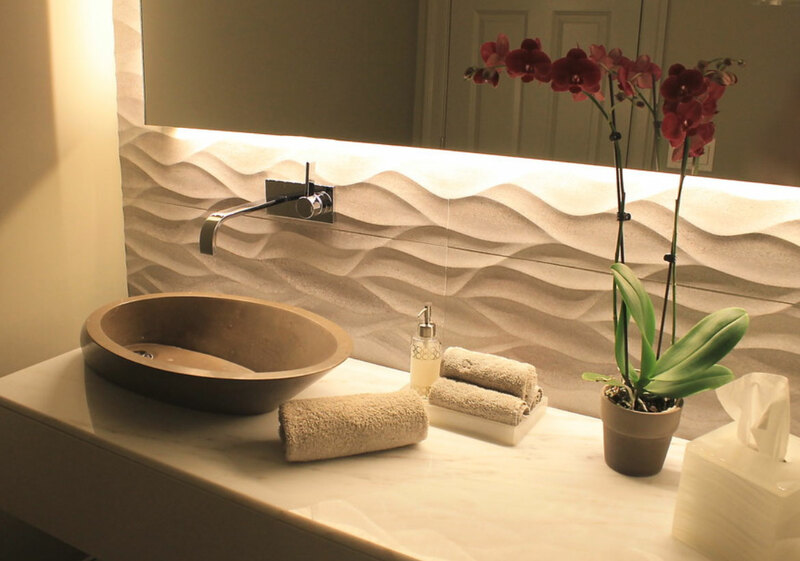 Stone feature wall and lighting — so cool! 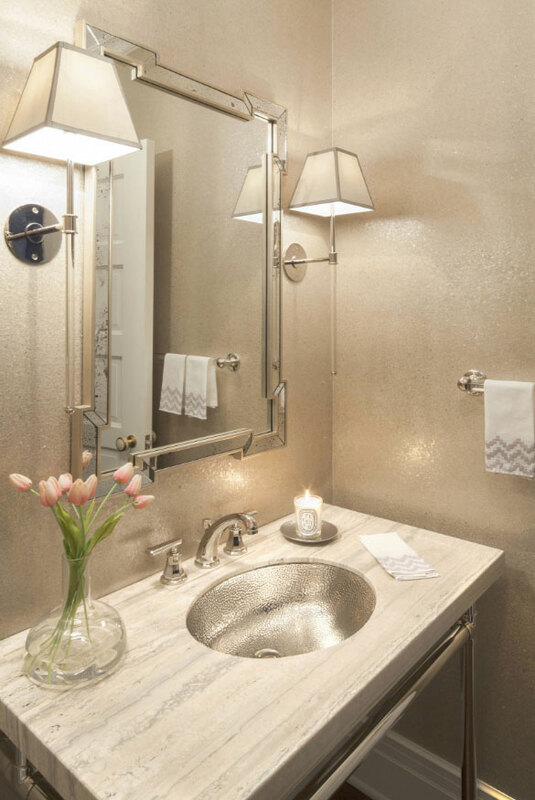 The wallpaper has some sparkle, plus the sink has some sparkle — lovely powder room. 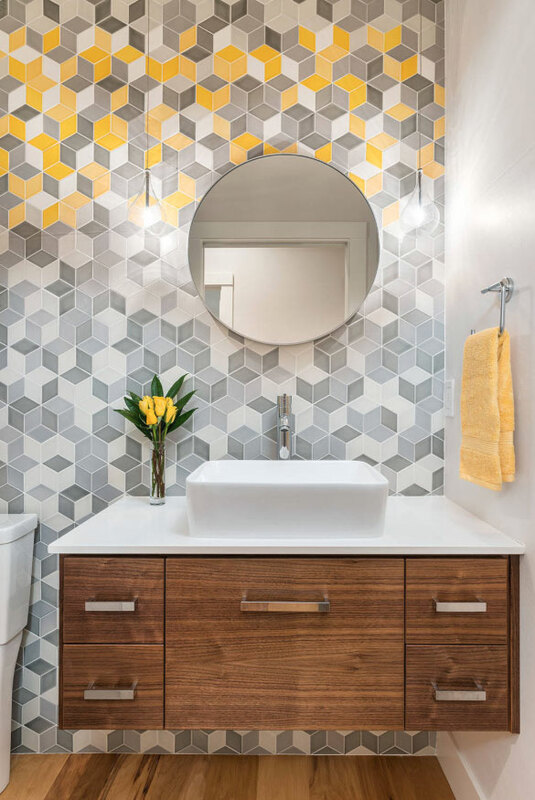 Fun and cheerful geometric tile! Another fun & magnificent use of color. 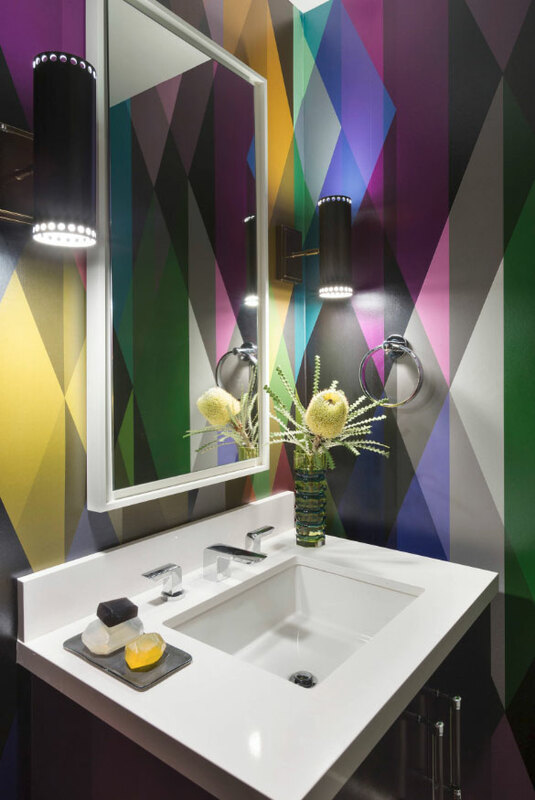 Featured is Cole & Son’s Circus technicolor wallcovering. Wonderful contemporary half bath. 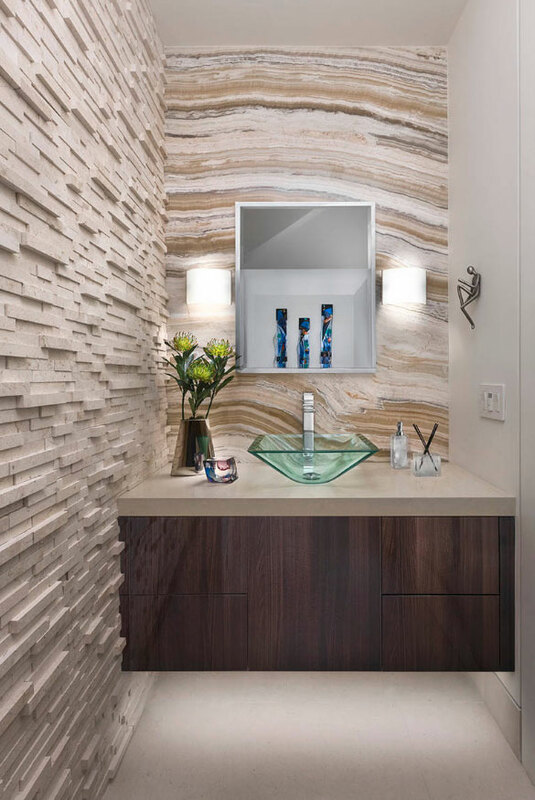 Love the wavy sandstone wall tile, custom vanity, glass vessel sink & classic mirror. The LED backlit lighting makes this space extra special. 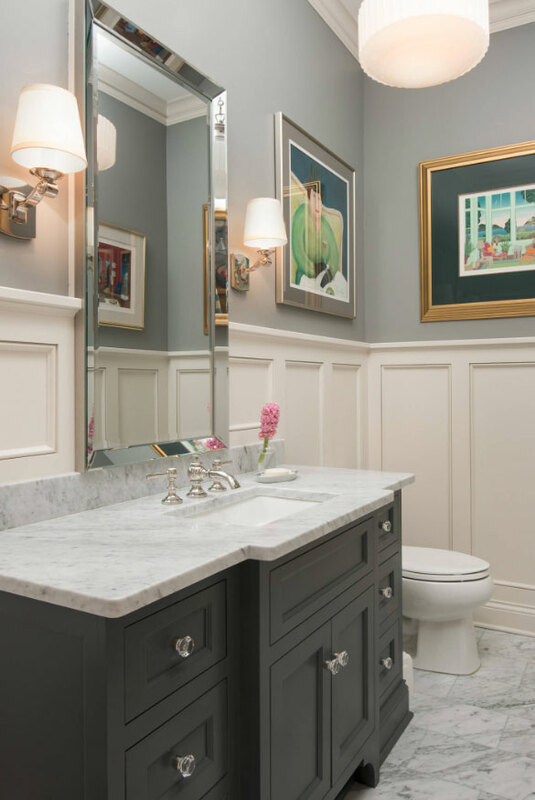 The beauty of powder rooms and half baths is that you can find the space in your home to add one, no matter how many free square feet you have available. These convenient and functional little rooms are essential for entertaining guests, and also serve as a nice relaxing place to help you freshen up. 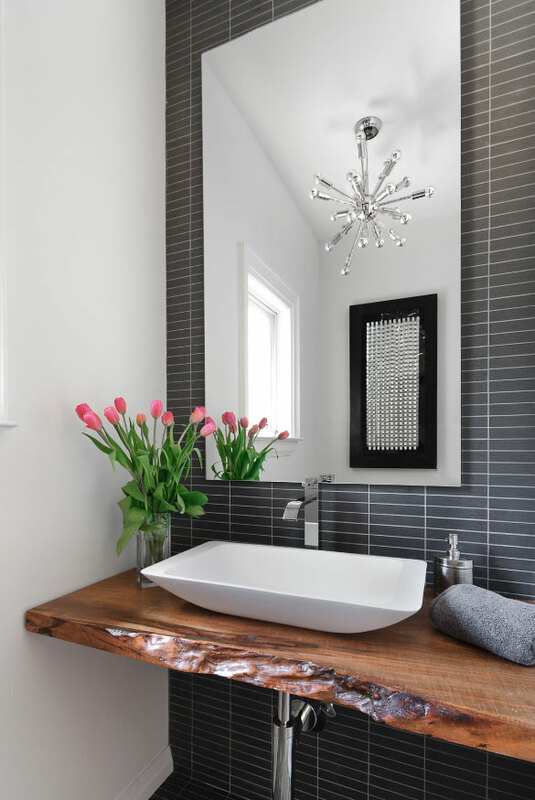 Although powder rooms have existed for centuries, homeowners have given them a modern twist with the additions of such things as skylights, tile flooring, and colorful backsplashes. 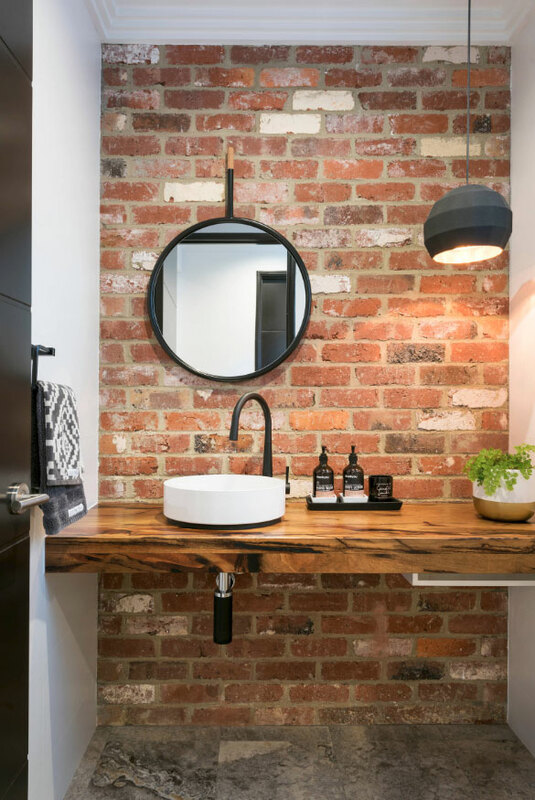 Small sinks and toilets can be convenient for small spaces, giving you plenty of room to stand and look at yourself in the mirror when you freshen up. 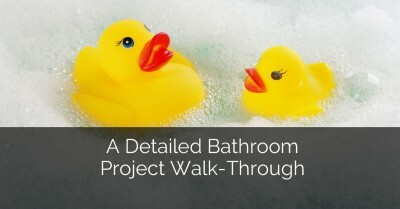 Whether you just need a convenient place to wash your hands, or you plan on offering it as a bathroom to family members and guests who are spending a weekend with you, you can be sure that your next smaller bath project will be a hot topic of any conversation with your neighbors and friends.